If all goes according to plan, an underwater liquified natural gas transfer terminal will call our NY coast home. That doesn't feel very natural does it? 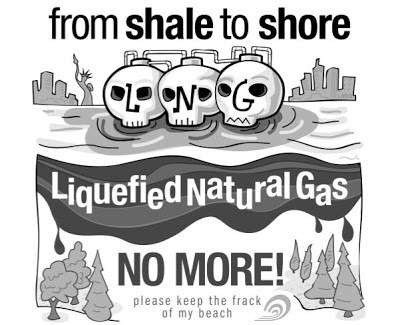 The controversial project was already vetoed in 2011 by Governor Chris Christie of New Jersey who cited, “unacceptable risks to the State's residents, natural resources, economy and security.” After being banned from the waters of New Jersey, the foreign project manager Liberty LNG, is now proposing to locate the station off the coast of Long Beach, NY. You might recognize Long Beach from the 2011 Quiksilver Pro and, if you're in New York like us, you probably flock to Long Beach when the waves are good. Surfrider Foundation and the local community worry that this project will pollute our air and water and up the possibility for an environmental catastrophe, not needed in a community still recovering from Hurricane Sandy. According to Surfrider, "among the environmental impacts, the port would discharge 3.5 million gallons of chemically-treated seawater used for pipe tests, generate significant underwater noise pollution, and dredge up over 20 miles of seafloor." More facts. We need you (especially you surfers) to come to the hearing tonight and voice your opinion (train schedule)! e-mail to volunteercoordinator@nyc.surfrider.org if interested in volunteering. Visit the Surfrider website for more information.